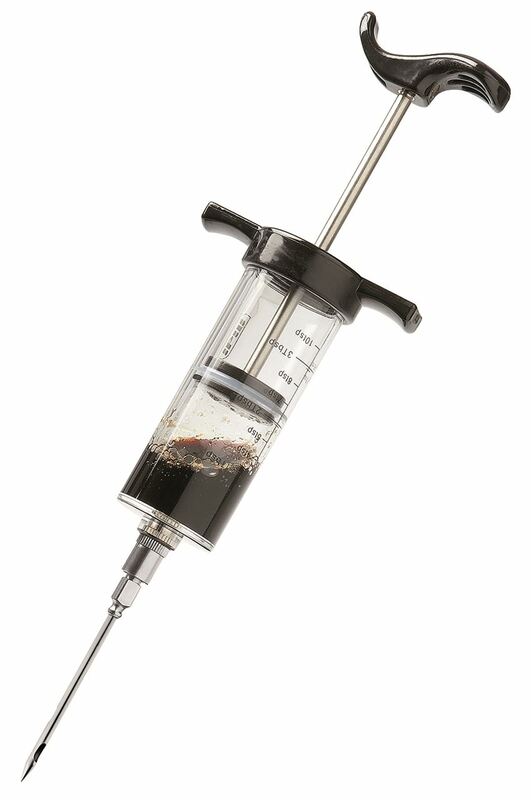 Essential for injecting flavoured jus into roasts, fish, poultry, and shellfish to spice up the taste and keep the meat moist during cooking. 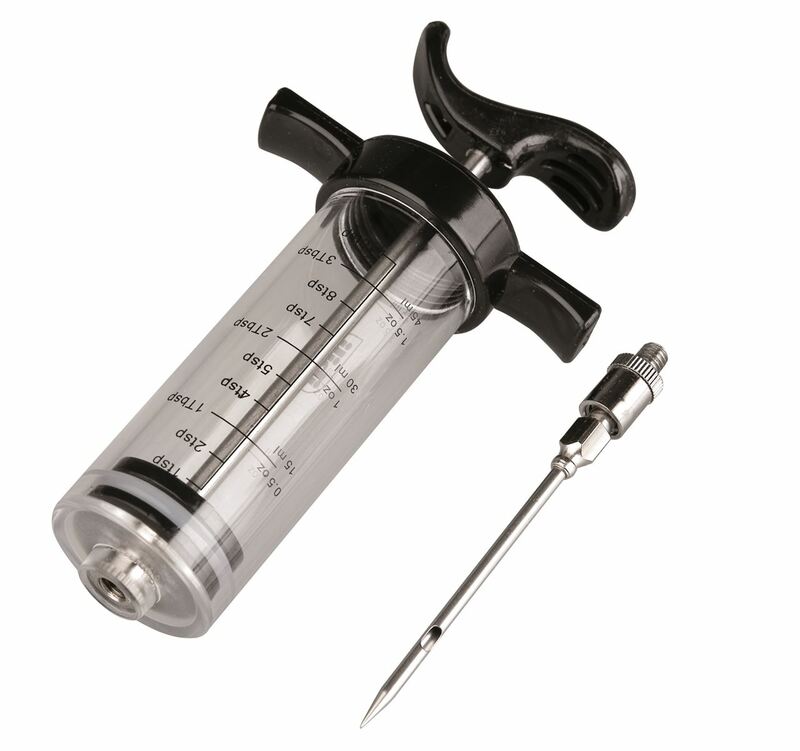 75 mm/3" stainless steel needle with a double opening for improved liquid distribution. Food grade plastic and stainless steel, removable, and can be put in the dishwasher. Blister packed. Length 5 1/2", Length of needle 3", Capacity 50 ml/1 3/4 oz.